Thoughtful patent protection helped helped CashEdge protect its groundbreaking software and be acquired by a major public company. The CashEdge story is an example of Barbara Courtney’s ongoing successful collaboration with a company that began as an early stage startup. CashEdge is a software company that presented a groundbreaking financial application, essentially enabling the online money transfers that most of us use every day. They required assistance with protecting their valuable IP. In the course of our collaboration with the company, two significant obstacles were overcome. The first was that there are many companies developing and marketing “financial software,” but that term typically referred to accounting systems. Working closely with the founders, we determined how to articulate the ways in which CashEdge was presenting something completely new. Essentially, it had to be conveyed in the patent application and claims that CashEdge provided a customer interface for money transfers, an extensive backend interface with financial institutions, and compliance with banking regulations to enable instant online money transfers. The second hurdle was that the perspective of both the patent office and the courts on whether software can be patented has varied through the years. Unfortunately, CashEdge was bringing its product to market at a time when it was very difficult to get patent coverage for software. Over the course of more than a decade, we used our understanding of the patent system and our relationships with key players within that system to secure many patents for CashEdge under very challenging circumstances. We also provided attentive management of the company’s entire patent portfolio, and participated in a smooth IP due diligence in the course of the eventual acquisition. 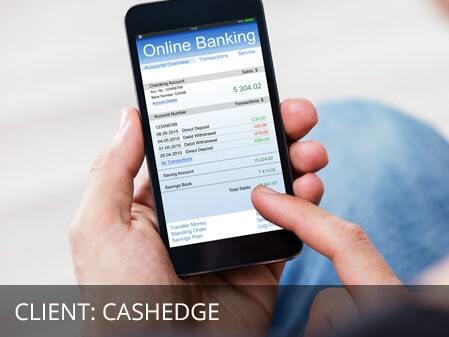 Ultimately, CashEdge was acquired by Fiserv, a major public company, for $465 million. Today, the principals behind CashEdge have demonstrated their confidence in Barbara Courtney and Martensen IP by having us represent them as they look to establish and grow their next startup.